MystoreApp is an online platform that makes your quotidian tasks easy and the management of your store more comfortable. Manipulate your product catalogue in practical and simple way. Access to your stock status from anywhere and any devices. Perform your sale orders easily and get immediately printable invoice. Have an overview of the store situation through statistics and make your decisions more relevant. 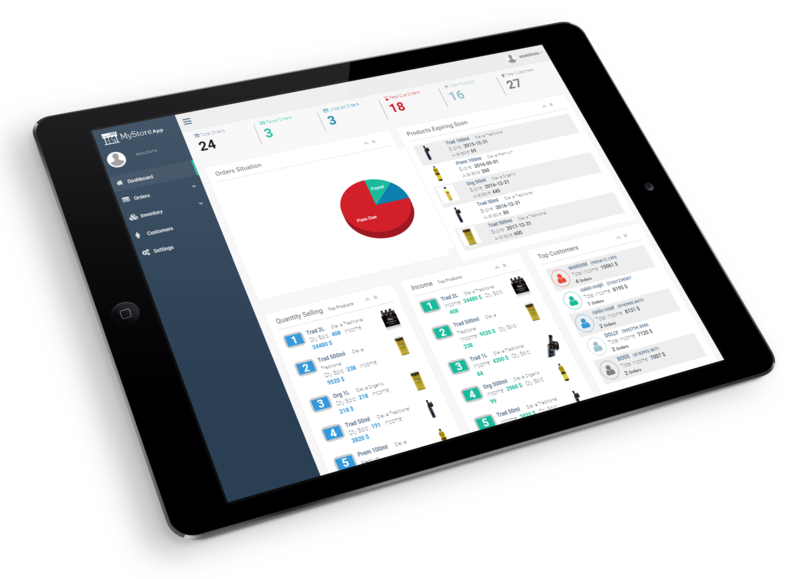 MystoreApp is a simple, easy and intuitive online management platform designed to facilitate the management of your store.